The use of directionality, or beamforming, for digital acomms systems has largely been ignored in simulations and more importantly experiments. The benefits of it for the physical layer in acomms are i) a cleaner channel at higher SNR’s and attendant rates, ii) deconfliction in multiuser environments, iii) covertness. This talk summarizes the issues for directional acomms. 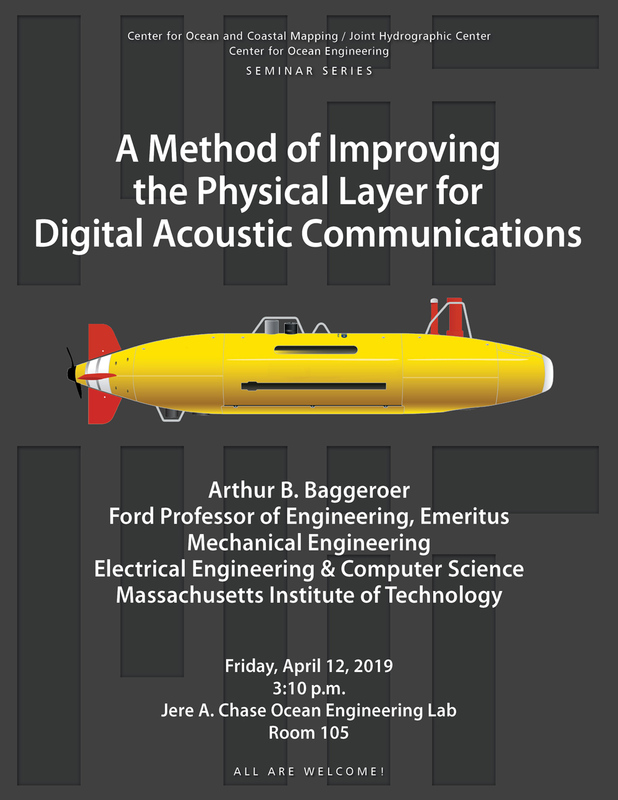 Arthur B. Baggeroer is a Ford Professor of Engineering (emeritus) in the Departments of Mechanical Engineering and Electrical Engineering & Computer Science at the Massachusetts Institute of Technology. He received the degrees of B.S.E.E. from Purdue University in 1963 and Sc.D. from MIT in 1968. He was been a consultant to the Chief of Naval Research at the NATO SACLANT Center (now CMRE) in 1977 and a Cecil and Ida Green Scholar at the Scripps Institution of Oceanography in 1990 while on sabbatical leaves. He is a Fellow of the IEEE and the Acoustical Society of America. He received the IEEE Oceanic Engineering Society Distinguished Technical Achievement Award in 1991, was an elected member of the Executive Council of the Acoustical Society from 1994-1997, and was awarded the Rayleigh-Helmholtz Medal from the Acoustical Society in 2003. He was elected to the National Academy of Engineering in 1995 and awarded a Secretary of the Navy / Chief of Naval Operations Chair in Oceanographic Science in 1998. He was a member of both the Ocean Studies Board and the Naval Studies Board each for six years and has served on many panels for the National Research Council.